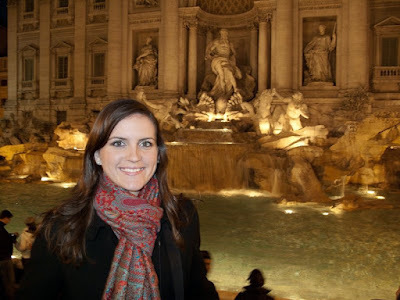 Sugar & Spice by Celeste: Day 12: Ciao Roma! After another filling breakfast at the hotel in Florence, we caught a taxi and it took us straight to the train station. You always hear about the "maniac taxi drivers"....well, I think we got one...LOL. It was an interesting ride to the station, to say the least. Luckily, we did arrive all in one piece. We actually ended up at the station about 1.5 hours before our train was scheduled to leave. There were several earlier trains to Rome, so I decided to see if it would be possible to hop on one of those instead. 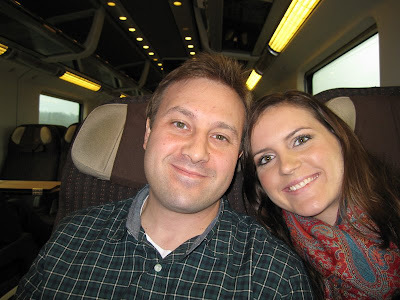 After paying a small fee, we were allowed to take an earlier train, which gave us an entire extra hour in Rome...yippee! We were so happy! 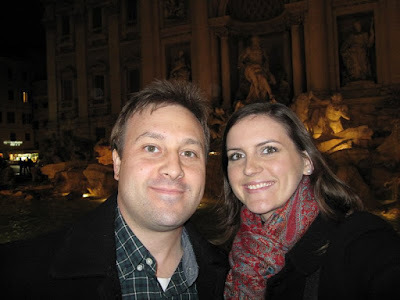 As soon as we arrived in Rome, we hit the ground running...we knew we had a lot to do in a short amount of time! What a completely gorgeous city...WOW! 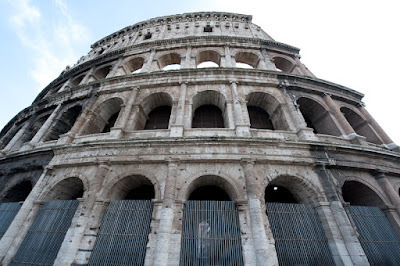 After checking into our hotel, we headed straight for the Colosseum. 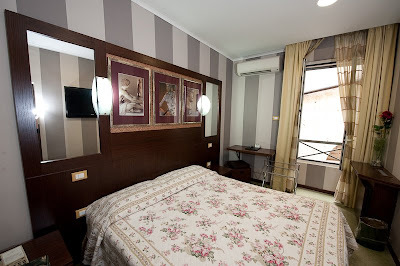 The location of the hotel was wonderful...we were literally only about a 5 minute walk from the Colosseum. I was thrilled about seeing it for the first time. It certainly lived up to my expectations. It is massive in size and just beautiful. 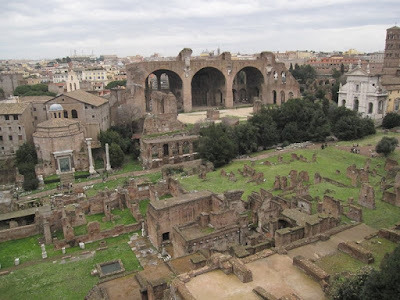 We decided to sign up for one of the English-guided tours, which included a tour of both the Colosseum and Palatine Hill. It was money well spent! 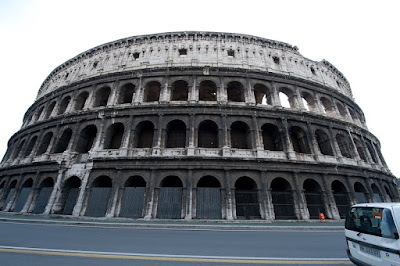 The tour really helped to bring the Colosseum to life. I loved trying to imagine all the things that used to happen there...so much history took place within those walls...it's unbelievable. 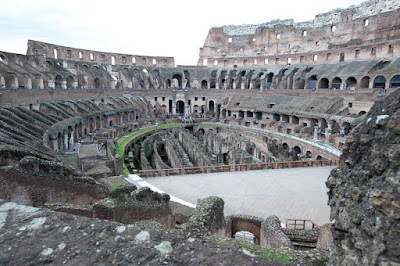 I could just imagine the fighting gladiators! The building itself is so cool. There are holes all along the outside, all over the outer face of the arena...that's where the beautiful marble used to be attached. 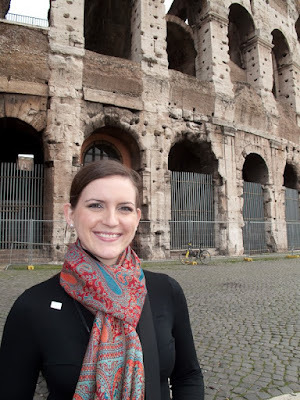 After the Colosseum, we headed over to Palatine Hill for our second guided tour....it was awesome too! 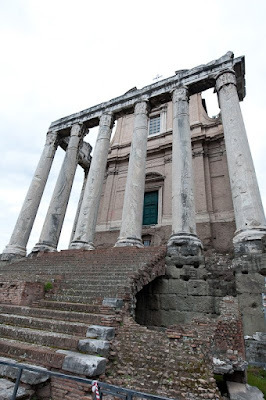 I loved seeing all the ancient ruins and remains of the old buildings, not to mention learning more of the history. 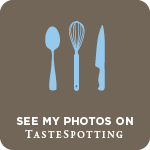 It just fascinated me...I enjoyed it immensely! It was neat hearing about the "umbrella trees" that the Romans brought over to Rome from their travels abroad. They are planted all over the city. 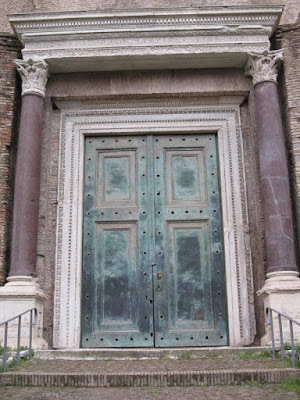 Those are copper doors...they've become green and tarnished over time. 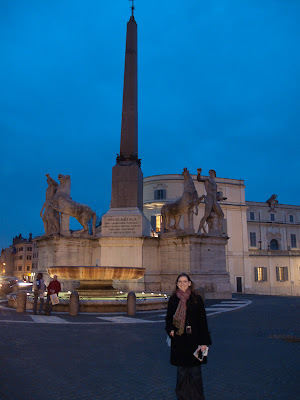 The columns on either side are made of the rarest marble on Earth...it's gorgeous, purple marble. Once both tours were completed, we went back to the hotel for a quick pit-stop...we had to grab our coats! I was freezing! 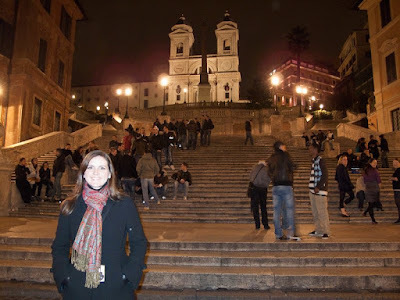 With our coats in hand, we headed for our next destination: the Spanish Steps. That area has some of the best shopping in the city, and it was called the "shopping triangle" in our guidebook...a very fitting name! 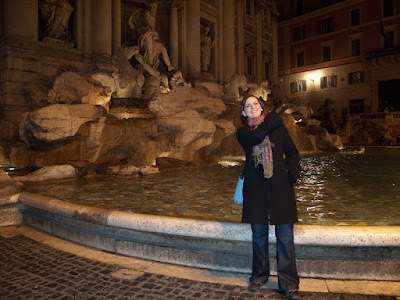 We walked down the main boulevard and window-shopped our way down to the Spanish Steps. They were really pretty! 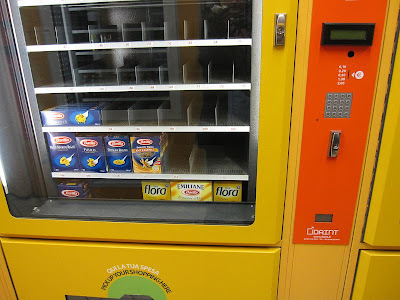 Yes, that's a PASTA VENDING MACHINE...how cool is that?!? 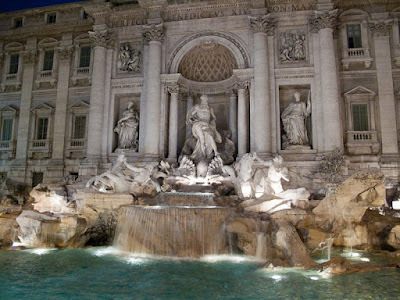 Next, we went to the Trevi Fountain for our first glimpse of one of Bernini's many fountains...WOW! What an amazing site. It was night time when we got there, so it was lit up beautifully and was wonderfully romantic. Bernini was obviously amazing...what an amazing artist. The horses look like they could leap out of the water at any moment. Of course, I had to toss a coin over my left shoulder (with my right hand! 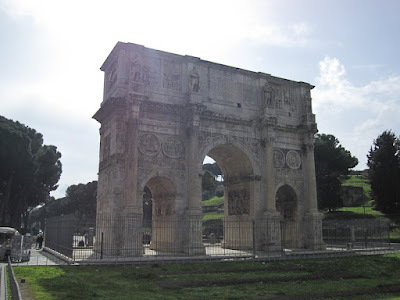 )...by doing so, it guarantees your return to Rome one day...I hope that part is true! 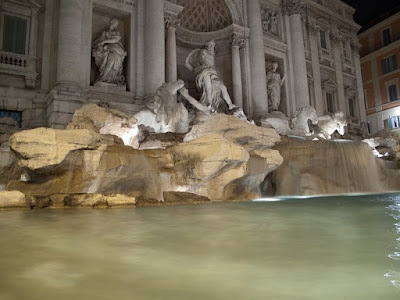 The Trevi quickly became my favorite spot in the city. Tossing a coin and making a wish! 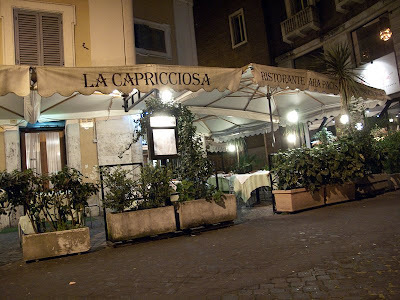 After seeing the Trevi, we found a great spot for dinner....a little restaurant called "La Capricciosa." 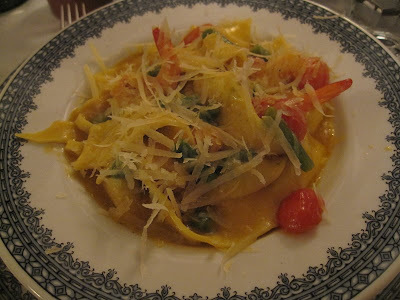 I ordered the Pappardelle with asparagus, shrimp and cheese. Brad had the Capricciosa Pizza with tomato, mozzarella, mushrooms, artichokes, eggs and ham. 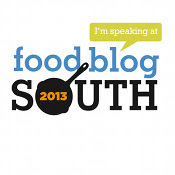 The meal was delicious...as always! With full tummies, we headed back to the hotel for some rest...we had had a very busy day! Day 2 in Rome was coming right up!